Happy DSD everyone! It’s going to be an epic weekend with loads of new goodies, great deals and freebies! First up here’s a look at the amazing new collab North Of Ordinary, brought to you by the P&Co designers! And you know what?! This weekend you can pick it up for FREE! Just follow the hop and collect all letters that will form a coupon code which you can use at checkout! But first I’d like to share a quick tip with you. It’s something I use all the time and I hope you will find it useful too! 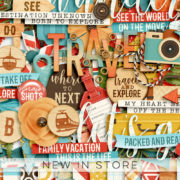 Imagine you are busy scrapping a beautiful layout and you are adding layer upon layer of great papers and elements. Then at one point (or more likely, a lot of times 😉 you realise you want to change the placement of one of your elements. Instead of going through all the layers in your layer palette searching for the right layer, there is a quick and easy way to do this! With the arrow or mouse tool selected in Photoshop, you simply hold down the ‘ctrl’ key and click on the element you would like to move. Photoshop automatically selects the layer this element is on! You can then move it, or use ‘ctrl + t’ to rotate or scale it. Now on to the great deals and new goodies! 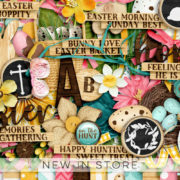 Through Sunday only you can ‘Pick Your Own Digital Scrapbook Ingredients’! Pick your favorite products from the DSI store and build your own grab bag for an incredibly low price! Or grab the large version and pick 10 kits or 12 template sets for just $20! Now these are some real bargains! But that’s not all! 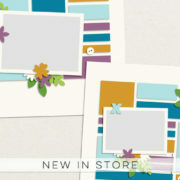 There is also a new template grab bag in store! Pick up these 4 brand new template sets for just $5! You can find a coordinating freebie on the DSI Facebook page! It’s also time for the new installment of the All Year Round series. 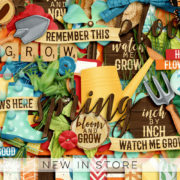 All Year Round November is now available in store! And last but not least, today the new Company Stash is also hitting the store! Aren’t these colors gorgeous?! Now back to the free collab! My letter is ‘H’. Remember you have to collect all letters to form a coupon code. You should have arrived here from Dawn by Design and your next stop is creashens. Here’s the whole list in case you get lost along the way. 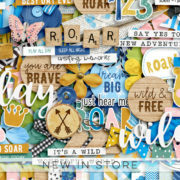 Don’t forget to check back soon, because in a few days the DigiScrap Parade will go live! You can pick up my portion here on the blog and there will be a coordinating freebie for newsletter subscribers!